Fitness is a life long journey. Start where you are. Before there were “personal trainers” there were coaches; we live and work in that tradition. We know when to push you, when to support you, and we take the time to find out what really matters in your life. We are your coaches. We help you focus on what matters to you. Whether you want to change your health, athletic performance, or jeans size, we give you the tools and accountability to break down larger goals into actionable steps you can commit to. We are your allies. No one thrives in isolation. 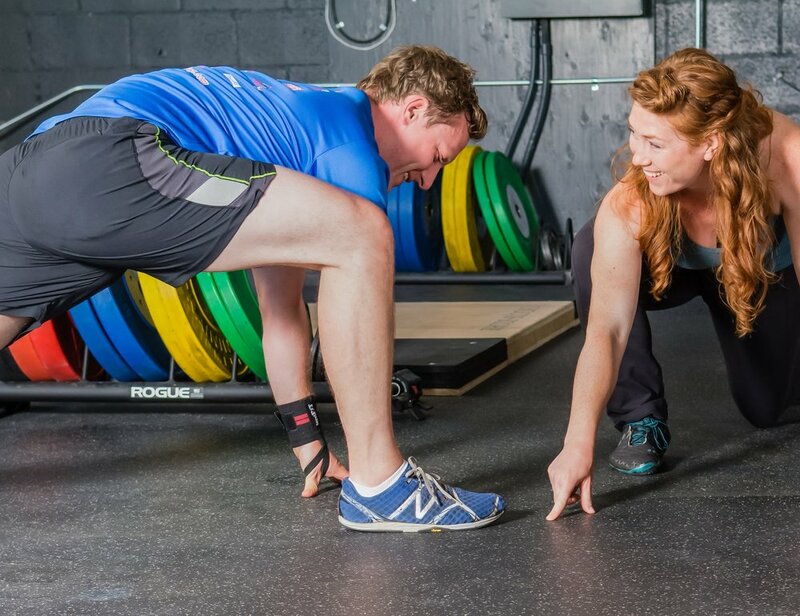 By combining the attention-to-detail of personal training with the camaraderie of a small group class, we make sure you get the support you need. We are your team. Even before the internet, the vast billions of humans who came before us thought and wrote and argued over every little scrap (and the big stuff too :). But now, with the perverse combination of absolute frictionless connection (world wide web) and the promise of viral content (pushing more of us than ever to create ever more), we are drowning in the stuff. More opinions, more blogs, more social media posts, and--yes--more newsletters, than any of us could ever read in 10 lifetimes. Altered State, or Altered Trait? An image from Sam Harris (he’s got an excellent guided meditation app that has been a big help for me) has been stuck in my thinking recently: most of us, most of the time, are just flailing around in the windstorm of our thoughts. Pulled every which way, with no real rhyme or reason, we can often feel utterly out of control, even when we’re trying really hard to be in control. I know this feeling well. That particular “brain-pinch” when I imagine that through the power of my own willful thoughts I will somehow change my reality. The utterly egotistical stance that somehow my thinky-thinky will take charge and fix it all. Check the schedule, sign up for classes, read more about your coaches, and see our most recommended products.